Since its initial inception in August of 2015, boutique-coffee-shop owners Nick Price and Meg Frampton have devoted precision, meticulousness and consistency to their passion for coffee. 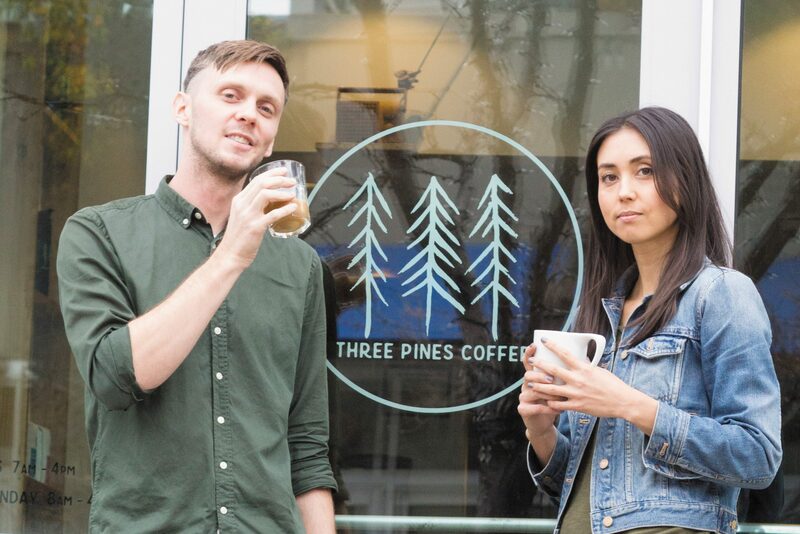 Three Pines Coffee, the local shop they opened in downtown Salt Lake City in January of 2016, is heavily inspired by not only the aesthetics of the Pacific Northwest but also the area’s propensity for one-of-a-kind, precisely brewed coffee and espresso. As the only coffee shop in Salt Lake City to use a tool called a refractometer, Price and Frampton’s primary goal for Three Pines Coffee has been to bring science-minded brewing to Salt Lake City—while simultaneously creating a uniquely delicious, one-of-a-kind beverage. Yet, this isn’t the only reason for adhering so faithfully to science-minded brewing. Consistency is a huge incentive to adhering to this practice throughout the brewing process. “I have the ability to just come in and use the tools that we have to dial in the coffee to be exceptional,” says Price. The tools that Price speaks of—mainly, the refractometer—are ultimately at the root of this experience. The refractometer works by using a laser through a sample of coffee to refract the light back. This determines how many soluble particles are in the sample of the already brewed coffee. The specifics of using a refractometer are numbers-based. “After you use the refractometer, it gives you the strength of the brew,” says Price. “Drip coffee is around 1.5 strength, which means that 1.5 percent of the coffee you brewed is actually coffee, and the rest is water. Coffee is so strong—it’s such an exciting flavor to our palates that even a tiny little bit of coffee makes a delicious drink.” If you’re curious about how espresso stacks up against brewed coffee, the refractometer reads the strength of espresso as being between 8 and 11 percent—a much more potent mix, although it’s still 90-percent water. 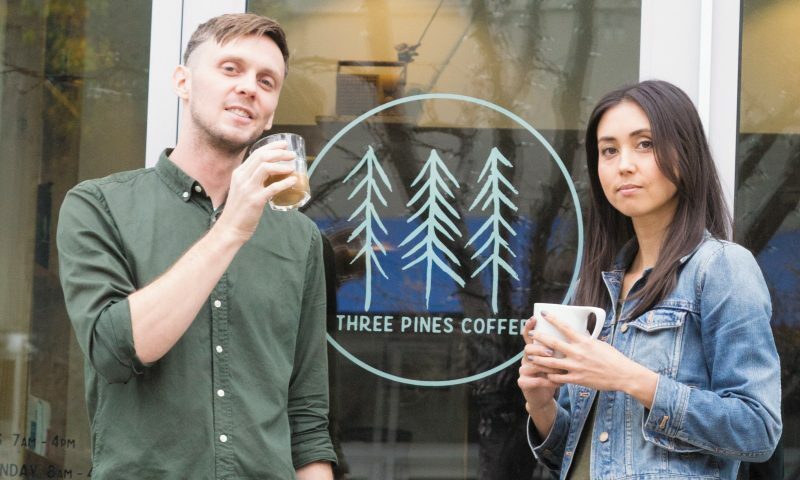 For now, residents of Salt Lake City (and visitors to the city) can enjoy the precision of the coffee and espresso offered at Three Pines Coffee. They’re in the process of moving from their location on Gallivan Avenue to the store’s new headquarters, located at 165 S. Main St., which is scheduled to open sometime mid- to late December. Stop by to witness the refractometer in action—which looks similar to a science experiment—grab a “Beehive Baller” (a cold brew with chocolate and vanilla), or scoop up their freshly baked, divinely inspired pastries. Brewed to perfection, Three Pines takes coffee to a new scientific level—and you won’t be disappointed.